AOS medicial Exam required on Interview.??? Hi guys, I just have a quick question from all of u who already had there interviews.Did u guys had your medical agin and took it on interview day. ? 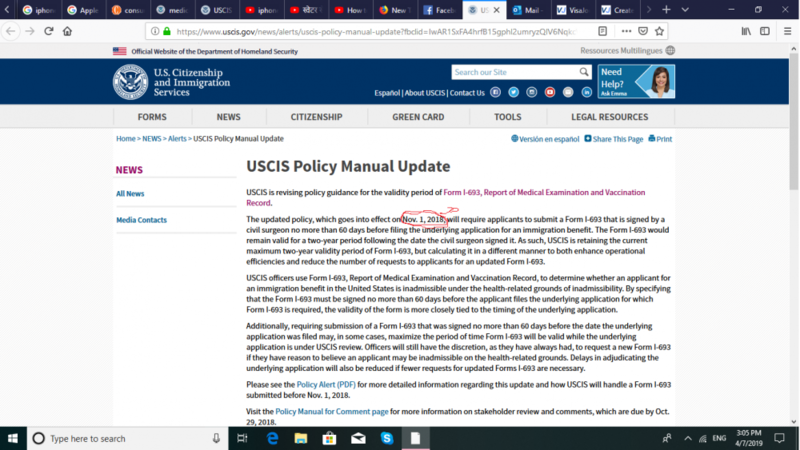 I had just read on USCIS website that they have updated they new policy that everyone need to do medical again and policy starts from 1 of Nov and I have field on 27 sep so that time there was no such policy so my old medical will work then which I had in my home County ? This policy is for those who have not completed the medical requirement overseas. If you read the i693 instructions pertaining to K visas you will see it does not pertain to you if you meet the K conditions.